Have you ever made your own spice mixes before? It’s so fun to see what you can create to really jazz up your cooking without putting in a whole lotta effort. 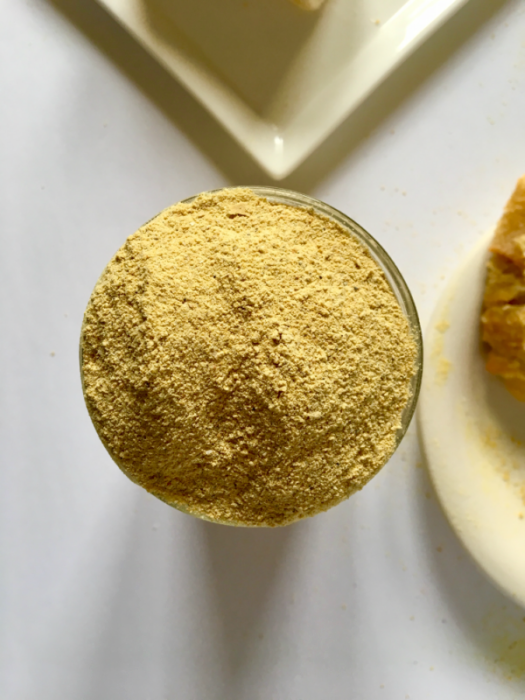 We’ve been making things like our own homemade boullion powder, taco mix, even pumpkin pie spice, for years! So, what exactly is this Cheesy Garlic Butter Blend and what do you do with it? 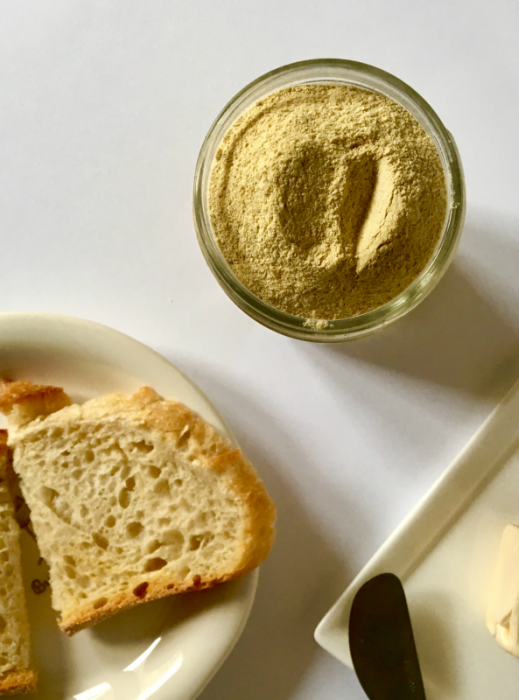 Well, this vegan spice mix is a blend of five ingredients you probably already have in your pantry: nutritional yeast (heeey cheesy flavor! ), onion + garlic powder, black pepper, and sea salt. 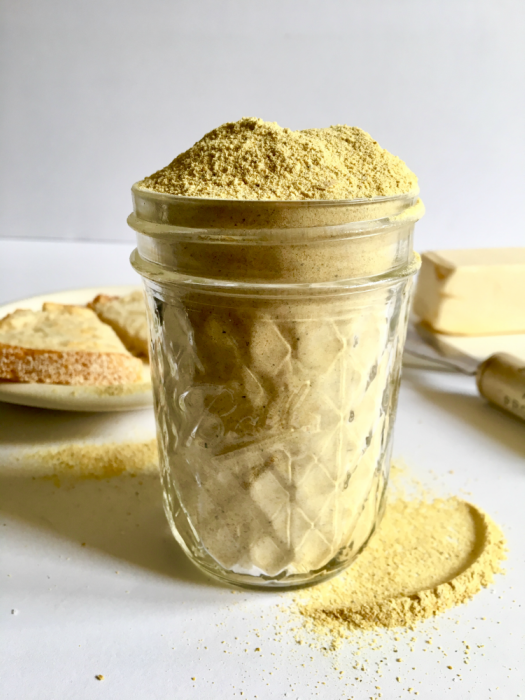 All you’ll need is a blender or food processor (a Vitamix works too, especially if you happen to have one with a “dry” pitcher) to blend it all together and get the nutritional yeast to a nice powdery consistency. 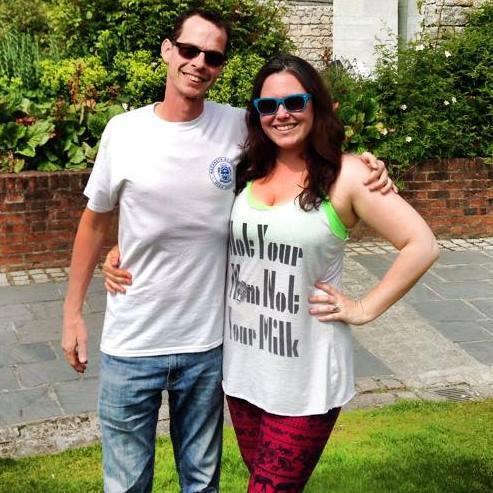 Sounds pretty easy, right? Correct. It is so simple but so useful. Used to replace dairy parmesan on alllll your favorite pasta dishes, casseroles (like our chik’n + rice, tetrazzini, or au gratin potatoes) and salads. Used as a sauce-starter for the easiest, creamiest, cheesy vegan pasta you’ll ever make! We do this by heating up some plain soy or almond milk on the stove and whisking in the Cheesy Garlic Butter Blend once it’s warm. Let it thicken as much as you’d like, add some cooked pasta and veggies of choice, and dinner is served! With only five ingredients, this vegan spice mix is super simple to make but crazy versatile for all your kitchen needs! Mix it with vegan butter for a great garlic bread spread, sprinkle it on popcorn, or use it to replace dairy parmesan on all your favorite dishes! 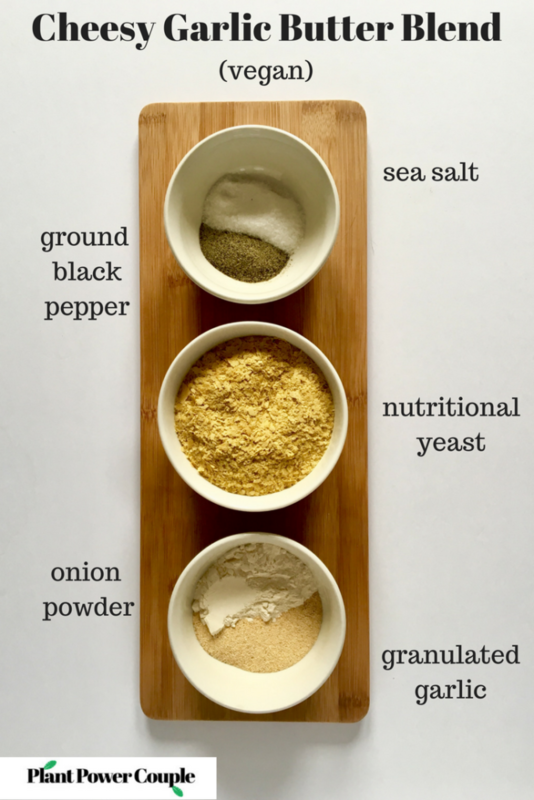 Add all ingredients to a food processor or blender and blend until well combined and no flakes of nutritional yeast remain. Add to vegan butter for a perfect garlic bread spread, use to top popcorn or in place of dairy parmesan on everything from pastas to salads! Store in an air-tight container in the pantry for up to 3 months (at least..you know, if it lasts that long!). We like to store ours in a mason jar.